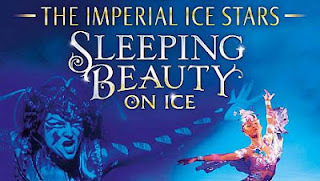 This summer for five nights only, the stage of the Theatre Royal in Glasgow will be transformed into a fully functioning ice rink where the Imperial Ice Stars will perform Sleeping Beauty on Ice. It will take140 hours to complete the transformation creating 14 tonnes of ice (the same weight as nearly 3 elephants) using 2,500 litres of anti-freeze. The ice reaches temperatures of -15, three times colder than a household freezer! 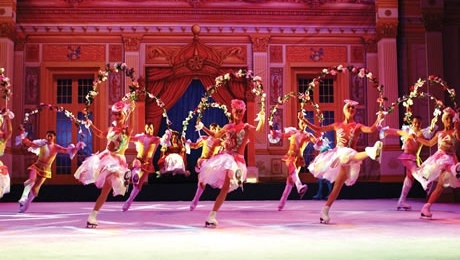 The Imperial Ice Stars are renowned for marrying well-loved classical scores with breath-taking choreography and romantic narrative, creating a fusion of adrenaline-rich ice dancing and dramatic performance. Starring Olga Sharutenko and set to Tchaikovsky’s magnificent music, Sleeping Beauty on Ice tells the timeless fairytale love story through mind-blowing high-speed leaps and throws, graceful and sublime ice dancing, awe-inspiring acrobatics and aerial gymnastics, stunning stilt skating and spectacular visual effects. Once the curtain falls it will take a mere 30 hours to dismantle the rink with an average of approximately 26,500 shovelfuls of ice deposited from the stage so catch this show before it melts away.